This absolutely gorgeous floral engagement party invitation is charmingly bohemian and elegantly appointed at the same time. Lovely blush and gold hand painted flowers create an overall elegant composition – sure to be a hit with the invitees. Each card comes with an accompanying envelope. Engagement Party Invitations Blush Gold Florals Glittery. When you are celebrating the upcoming wedding of two special people, we suggest the beautiful Engagement Party Invitations Blush Gold Florals Glittery. Coordinating products are available. Welcome to the Morgan Collection. This unique hand painted floral engagement party | couple’s shower invite boasts blooms of gold, charcoal and blush flowers. In addition, a paint stroke of rose gold completes the design. 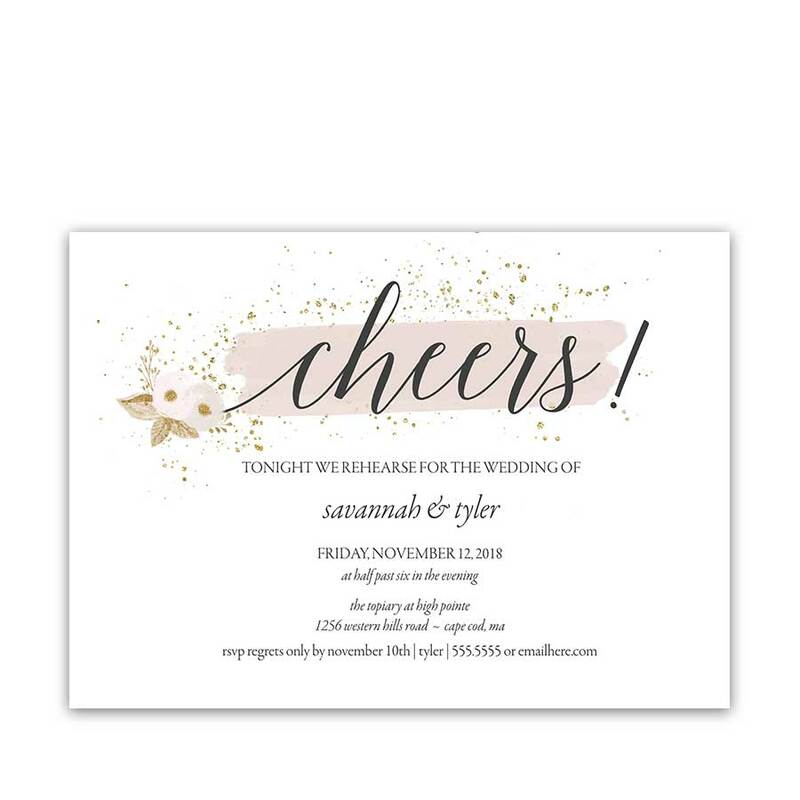 Additionally, you can order an entire coordinating wedding suite which compliments the Blush and Gold Floral Engagement Party Invites via the links below. Especially relevant for: gold weddings, floral weddings, formal wedding celebrations, country chic weddings, bohemian weddings, and boho chic weddings alike in summer, fall and winter months. The Engagement Party Invitations Blush Gold Florals Glittery measure 7 inches wide by 5 inches long. 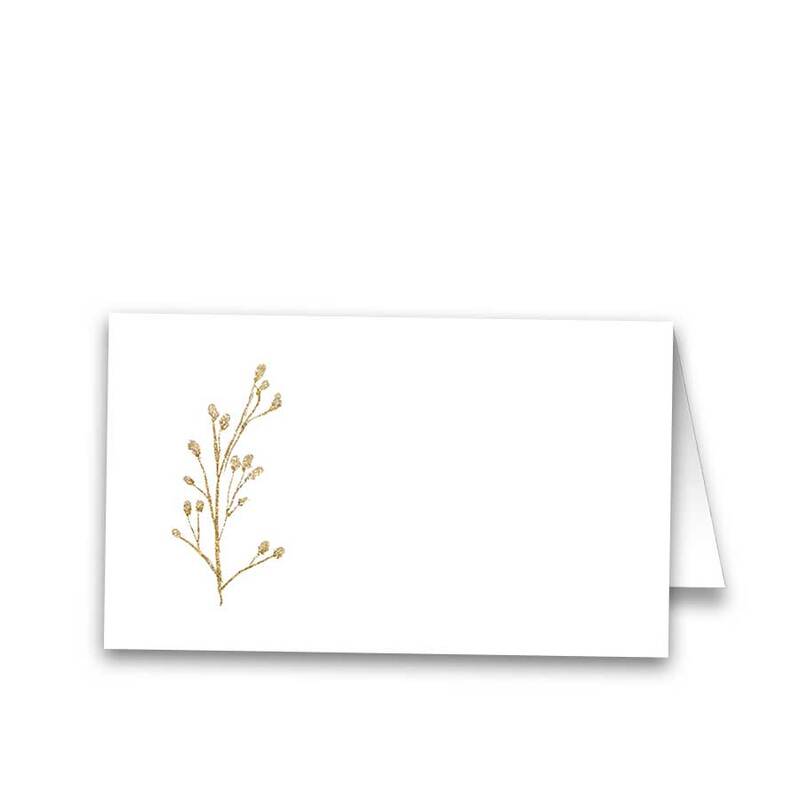 In addition, cards are printed on our gorgeous Signature paper. The back side of the invitation will be white. Envelopes are included with the invitations. 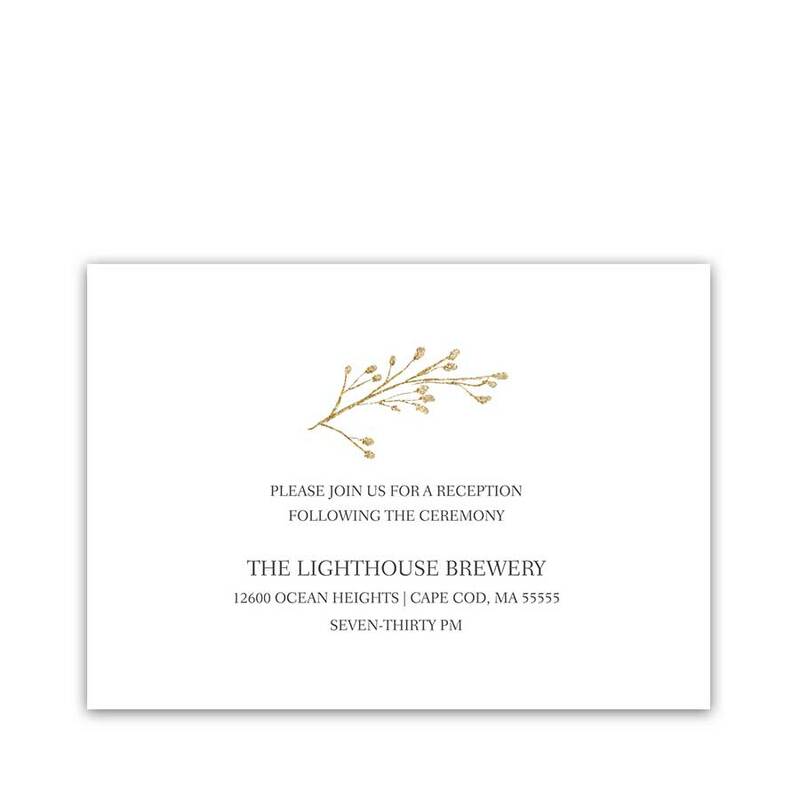 Provide the wording for the invitation at checkout exactly as you would like it to read. It’s that simple! You also have the ability to make changes to errors upon receipt of the proof package.